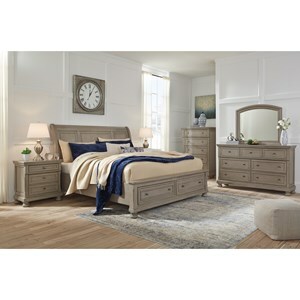 The Patterson Queen Bedroom Group by Crown Mark at Household Furniture in the El Paso & Horizon City, TX area. Product availability may vary. Contact us for the most current availability on this product. What draws you to coastal design? Beloved memories of a childhood by the seaside? Or maybe you have a dream to live in a seaside cottage and make memories with your own family. Whatever sparked the romance, this delightful bedroom set will fan the flame. 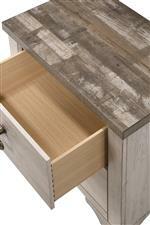 Weathered plank tops and distressed driftwood gray wood evoke timbers reclaimed from the seaside. Traditional touches like graceful bracket feet and antique-inspired hardware give your room a charming look and a wistful connection to the past. The Patterson collection is a great option if you are looking for Cottage Coastal furniture in the El Paso & Horizon City, TX area. 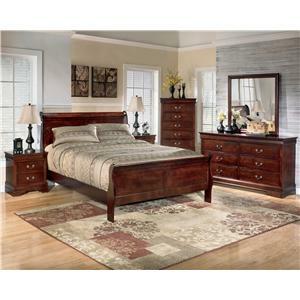 Browse other items in the Patterson collection from Household Furniture in the El Paso & Horizon City, TX area.